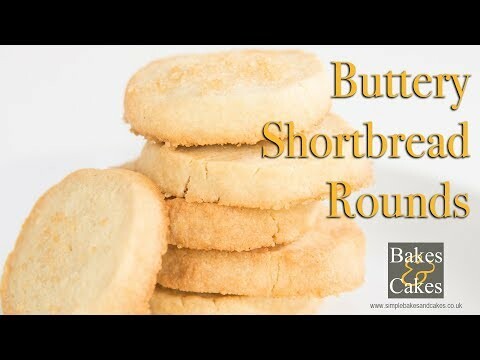 With a scattering of Demerara Sugar, these shortbread biscuit rounds move to another level in taste. I love any shortbread biscuit. Especially when they are small and can be enjoyed with a cup of tea between meals. Afternoon tea recipes may sound old fashioned but everyone loves a bit of Victoria Sponge cake or biscuit with their tea whilst watching Escape to The Country, don’t they? Or is that just me again! Remove from the oven and leave to cool before placing in an airtight container. Have you tried baking chocolate shortbread? This recipe is also perfect for biscuit lovers and so easy to do, so why not give this a try as well? If you want to make more or less biscuits then use my recipe converter to help you. Let me know how your bake goes and if there are any other biscuits you’d like to have a go at baking. I would really appreciate it if you could share this post on Facebook by clicking below.